New scientific research conducted by Dr Lex Verdijk and his team at Maastricht University indicates that concentrated beetroot shots can ‘improve high intensity performance in trained, recreational athletes, as long as the nitrate dosage is high enough’. 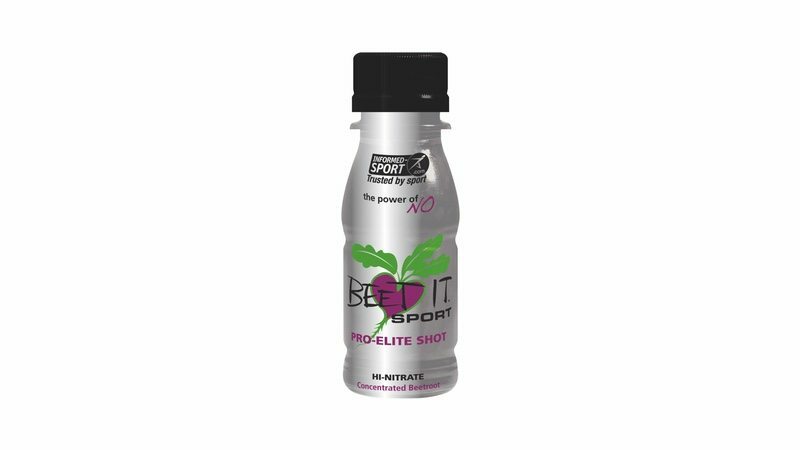 The study for the team in Maastricht, which has just been published in Nutrients journal, indicates that a higher dose of two 70ml Beet It Sport shots (800mg of natural dietary nitrate) can improve performance amongst trained yet recreational athletes, whereas other sports participants may see performance improvement with a differing nitrate dose. The trial was based on a double-blind, randomised, placebo-controlled study where 32 first team male soccer players (2nd and 3rd Dutch amateur league club) received two 70ml Beet It Shots (800mg nitrate per day) or placebo (nitrate-depleted) shot for six days. As noted by Beet It, just one concentrated beetroot shot has the equivalent nitrate dosage as drinking 250ml of actual beetroot juice. On day six of supplementation, participants were asked to complete a high-intensity, intermittent sprint test. The results indicated an improvement in this form of exercise performance in trained soccer players by 3.4%. Additionally, there was a reduction in heart rate by 1.7%.